One more Force Awakens post before we return to the comic book Wheel saga, this one taking a closer look at two popular fan theories regarding the upcoming film that have been banging around the internet for awhile now (and gained additional traction/attention in the wake of the release of the final trailer for the film). Note: I'm mostly working only off of the teasers/trailers, some info gleaned from merchandise (like the toys) and some vague internet scuttlebutt (I haven't even read the big EW article on the movie, though my brother passed along a few details from it), but if you're a complete spoilerphobe or just trying to avoid any lengthy ruminations on the movie at this point, consider this your official spoiler warning and suggestion to not read below the cut. Theory #1: Luke Skywalker is evil! (or Kylo Ren/Supreme Leader Snoke/some variation thereof). 1. Luke has been kept curiously hidden from most of the movie's marketing material. Of the original trio, Han has been front and center, and Leia's made a couple appearances. Luke, however, has only appeared once (albeit the same shot has been reused a couple different times), patting Artoo on the head with his robotic hand while sitting next to a fire (and it's not even clear if that is Luke or not). The argument goes that this is because Abrams is planning on some kind of big reveal for Luke. Big reveal=he's evil! 2. 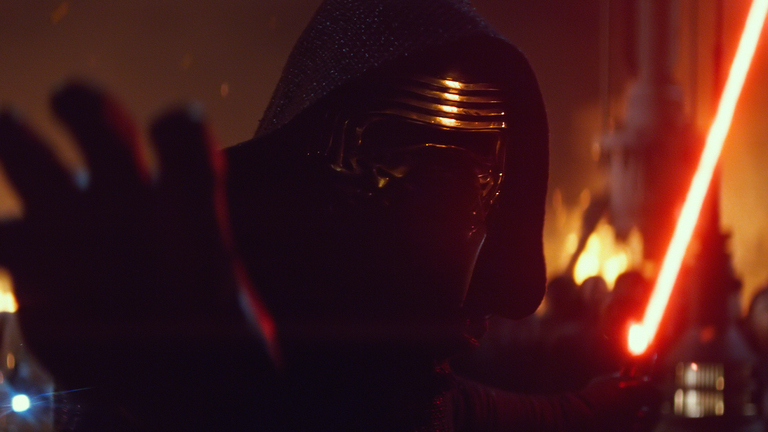 Kylo Ren and the Knights of Ren are masked. So while Adam Driver is clearly playing a Knight of Ren in some capacity, it's still possible Luke is playing Kylo, or some kind of Emperor-esque figure to Kylo (and we haven't seen anything of Supreme Leader Snoke yet, either), setting up a "remove the mask, it's Luke!" kind of moment. 3. Abrams likes to be coy about this kind of stuff and play with fans. He insisted prior to the release of Star Trek: Into Darkness that Benedict Cumberbath wasn't playing Khan, but he was. 4. Abrams has said in interviews that he was convinced to direct the movie when Lucasfilm head honcho Kathleen Kennedy asked him, "Who is Luke Skywalker?" Intrigued by exploring that question, he signed up. Presumably, the answer is something other than "a really good guy helping bring back the Jedi and fight evil across the galaxy", or else Abrams wouldn't have been intrigued enough to take on the project. 5. Luke has turned to the Dark Side before, in the pages of the Dark Empire comic book series (one of the earliest Expanded Universe stories). 1. Lots of characters haven't appeared in the trailers. Just because we haven't seen much of Threepio doesn't mean he's gone evil. 2. While not a huge star, Adam Driver is a name actor, and something of a rising star who has been positioned by the film's marketing as the central antagonist of this movie. It seems unlikely he'd be cast and announced as Kylo Ren just to obfuscate a reveal of Luke as Ren. 3. There's a difference between saying "Cumberbatch isn't Khan, just kidding he is!" and setting up an elaborate ruse in which an actor is hired and announced as playing a key character just to disguise a plot twist in the movie. Beyond that, the actor has conducted interviews discussing how he's playing the character, and film critics that have seen footage have referenced Driver's performance as Kylo Ren (meaning they too would have to be in on the ruse, when they have no reason to be). Also, no other Abrams project had the level of merchandising involved that this film does - there were no Cloverfield monster toys, no Super 8 visual dictionaries, no "I'm Totally Not Khan" Khan action figures, etc. Meaning that if Abrams is overtly lying, he's doing it to a ton of Lucasfilm corporate partners in addition to fans, which seems unlikely. 4. While "evil" is one answer to the question of "Who is Luke Skywalker? ", there's lots of other answers, too, many of which have the potential to be just as intriguing (if not moreso) than "evil". 5. Just because the EU did it, doesn't mean Abrams did. If anything, the EU doing it is more of a con than a pro. Obviously, I don't put much stock in this theory. Most of its proponents fall back on Luke's absence from the trailers and Abrams' history of playing fast and loose with the audience as their chief points, and while I concede there's probably a reason Luke has been held back from the marketing, that doesn't automatically mean it's because he's evil. Ultimately, I think making Luke a bad guy is a little too obvious, in part because it has been done before, and in part because it's a really cheap way to generate thematic resonance ("he went bad just like his dad did!") between the trilogies. As always, it of course will come down to execution, but turning Luke evil also runs the risk of undermining the triumph of Return of the Jedi, that instead of saving his father from the Dark Side, Luke ultimately just supplanted one evil tyrant with another, something which could do a lot to piss off Original Trilogy fans (and so far, this movie seems aimed squarely at winning back OT fans burned by the prequels). It seems very unlikely that Kylo Ren specifically will be Luke, but I certainly won't be surprised if it turns out that Luke is evil, even as I freely admit that's not something I'd prefer. Nevertheless, I just don't see that happening. Theory #2: Rey & Kylo Ren are the Solo twins. 1. Set roughly thirty years after Jedi, the actors playing both parts are the right age to be children born shortly after the Battle of Endor. 2. The most recent trailer heavily implies that both Kylo Ren and Rey are Force sensitive (Ren is seen seemingly using the Force, while the voiceover narration seems to be talking to/about Rey). 3. While it's been revealed that "Ren" is more of a title/classification than a true name, both "Rey" and "Ren" are, visually at least, similar names. 4. Revealing that the ostensible villain and one of the main protagonists are related adds some thematic weight to the conflicts in the film, and parallels the similar Vader/Luke reveal/familial ties of the Original Trilogy. 5. 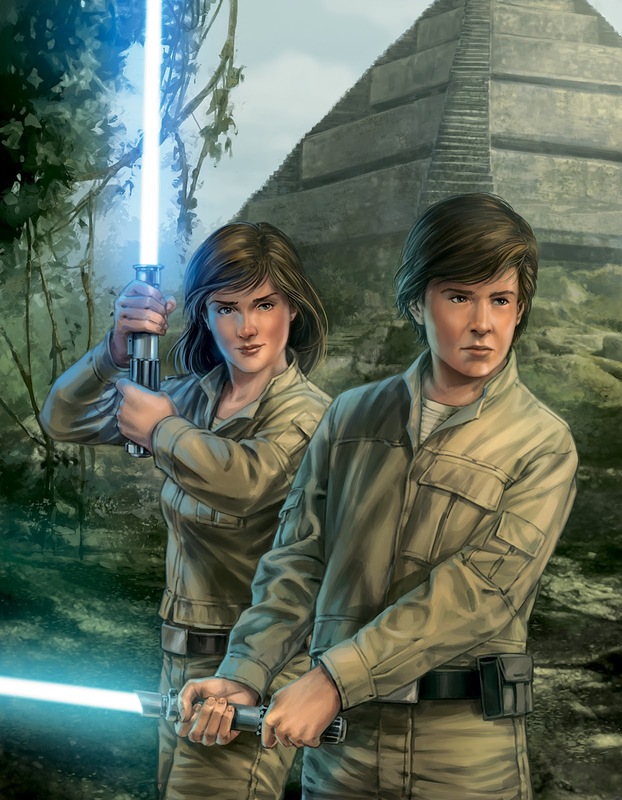 There's Expanded Universe precedent in the idea of Han and Leia having Force sensitive twins, and even a notable storyline that pitted one against the other, who had fallen to the Dark Side. 1. While a cute idea, there's nothing concrete to suggest any relationship between Rey and Ren at this point, just circumstantial evidence like "they're the same age" (aka the age Hollywood wants most of its main characters to be) and the fact that revealing previously-unknown familial relationships is kind of a thing for Star Wars. 2. One brief teary embrace aside, there's nothing to suggest Han & Leia even remained together after the events of Jedi, let alone had kids. 3. It's been done before. It seems unlikely that LucasFilm would wipe out the entire EU only to bring back one of the more notable elements of it (Han and Leia's kids), just in a slightly different form. Admittedly, as an EU fan, I want this theory to be true moreso than the "Luke is evil" one, so I'll be pleasantly surprised if it comes to pass, but I don't think it will (I think "Luke is evil" is far more likely to be true than this). That said, I have very little doubt that SOMEONE in this movie will turn out to be secretly related to somebody else; whether Kylo Ren is Luke's son or Rey is Luke or Leia's daughter or even that Rey & Ren are the Solo twins after all, there's going to be a family element to the story, because that's what Star Wars is all about. The first six films are the story of Anakin Skywalker, and while his tale has been told, there's no way the sequel trilogy won't continue it in some way via a grandchild or relation of some kind, whether that child comes from Luke or Leia. Certainly, the Skywalker family connection could come later in the trilogy via another character, and it's entirely possible (in fact, likely) that any familial reveal will be held until the second or third films in the trilogy (a la the Vader reveal in Empire or the Leia reveal in Jedi), but it seems doubtful that at least one of the four main characters being introduced in Force Awakens won't turn out to be a Skywalker of some sort. Even if Rey and Kylo Ren aren't the Solo twins after all. Evil would be too obvious cliche. Of course, it too is as big and obvious cliche that he's the old Jedi master retired in seclusion like Ben Kenobi and returning now because, well, Force Awakens, but come on, can old Luke Skywalker be anything else? I certainly hope you're right. I suspect — and yes, hope — that Luke’s absence is more to whet our appetite for a reveal in the movie itself. They had to give us a big original-cast moment in the trailers, and like we discussed when that happened Han & Chewie were the smarter choice. Despite our affection for Mark Hammill and identification with the character of Luke, Harrison Ford is the bigger draw to the world at large; furthermore, given his seeming indifference to the franchise over the years, it’s smart to have him smiling in a huge nostalgia shot as early as the teasers. Luke not being Kylo Ren doesn’t mean he didn’t turn to the Dark Side, of course, but as intellectually compelling as the arguments can be I both doubt it’s true and, ultimately, again hope it’s not. What I can see is him having gone into seclusion for his friends’, if not the entire galaxy’s, sake because he recognized his transformations as leading down his father’s path and realized that after the deaths of Yoda and Obi-Wan nobody could deal with the tremendous powers he’d loosed within himself but himself, through meditation and perhaps with the aid of his mentor’s Force-ghosts; indeed, perhaps his inability to train anyone else nor live in the wider world is why the Jedi are still regarded as myth. Which’d be a shame if it means that we don’t get to see Leia break out some lightsaber or Force-wielding mojo. I very much want to see the next three movies form their own trilogy and Luke’s journey play out within them, because while the first two trilogies are indeed Anakin’s story the original trilogy also begins Luke’s story and that story merits continuation and conclusion. That's a really good point I'd never really considered, and really, something the old EU never really dealt with at all - eventually, they had Luke seek out and train Force sensitives and recreate the Jedi Order, but aside from DARK EMPIRE, they never really dealt with the fact that before that happened (roughly five years of time), there was nobody who could stop Luke should he turn evil. Which’d be a shame if it means that we don’t get to see Leia break out some lightsaber or Force-wielding mojo. Yeah. I'm not saying I need Leia in Prequel-era Jedi robes, but I'll be bummed if her Jedi abilities get downplayed. Like, if the idea is she's not much more powerful/developed than in RETURN OF THE JEDI and still just gets vague feelings that turn out to be true sometimes, that'll be disappointing. I very much want to see the next three movies form their own trilogy and Luke’s journey play out within them, because while the first two trilogies are indeed Anakin’s story the original trilogy also begins Luke’s story and that story merits continuation and conclusion. I really hope Luke is not evil in any capacity. I didn't like DARK EMPIRE for that reason, either. Also, I've thought about this a lot in recent years, ever since I read about how making Leia Luke's sister was sort of a last minute choice when Lucas decided he didn't want to do another trilogy of VII-VIII-IX back in the eighties but he had to address Yoda's line about "another", and the more I think about it, the more I think it was a bad idea to make Leia and Luke siblings. I can't quite articulate why; I just think STAR WARS works better if they aren't. But that was written in stone a long time ago, so no sense in fretting too much about it now. I mostly enjoyed DARK EMPIRE, though I read not long after it was first released and before we there was a lot of other choices for EU stories. I'm not sure it would hold up as well if I read it again today. In principal, I liked the idea of Luke trying to fake falling to the Dark Side (and failing), then needing to be saved by Leia as he saved their father, along with some of the teases about Anakin's fall (which, at the time, were great but have mostly been proven false, like the Emperor tempting him with control of the Imperial fleet). But some of the execution was off. Leia wasn't trained up enough to be a worthy foe, having Emperor clones running around probably wasn't the best idea in the long run, that floating cyborg Jedi did little for me. The probably with Luke & Leia being siblings is that, once the "there is another" is teased (a tease which I love btw) AND it's decided that the tease needs to payoff in the final film, the world of the Original Trilogy is so insular that they're aren't enough candidates for any answer to feel satisfying. Forget the fact that Leia is the only girl in the universe (at that point) and thus obviously the only one who could be Luke's sister; even before it's revealed he has a sister, who could the "another" possibly have been? Pretty much just Han, Leia or Lando (Chewie?). It was already a limited pool at that point, even before gender got brought into it. But with Luke & Leia established as siblings, I do hope the new films do something with that idea, at least show us a bit of their relationship to sell the idea that they're related (which is something the later EU books touched on occasionally, but could have done more with as well). I missed DARK EMPIRE initially; I was never into STAR WARS comics. I remember reading the "Jedi Academy Trilogy" and struggling to figure out, in those pre-internet days, what book I had missed when narration started talking about a resurrected Emperor and his attack on Coruscant! I hadn't yet figured out Lucas's attitude that all the various pieces of the Expanded Universe, whether books, comics, or video games, "counted" in one way or another. I seriously puzzled over what I had missed for years. I finally read DARK EMPIRE for the first time as an adult, probably about eight or nine years ago. 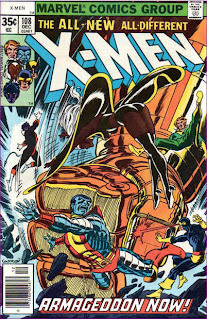 Besides finding the writing kind of stiff and boring, I just didn't like it very much. I have no problem with Luke going "undercover" as a fallen Jedi, but when he actually goes bad, it's just too much for me. As for "another", I like the tease too, and I understand Lucas needed to pay it off in JEDI when he decided he wasn't going to do a third trilogy. So because of that, I'm okay with Leia as Luke's sister. I just wish it didn't have to be that way. I read a book some time back called THE SECRET HISTORY OF STAR WARS, which compiled tons of different sources during the production of the movies and determined Lucas's original plan was for Luke to kill Vader at the end of JEDI, with the Emperor remaining to serve as the villain of VII-VIII-IX, in which "another" would become the hero who killed him. I really like that idea, but obviously it's never to be. I will speculate a bit. I think that Rey is Luke's daughter. She is obviously the main character, based on her prominent role in the trailer. There is a lot of symbolism in the shots we have gotten (desert planet, "I am nobody", yearning for greater deeds) that liken her to Luke. Star Wars is a Skywalker story at its heart, not Solo (as much as we like him). I think it makes more sense then her being Han and Leia's daughter. A Skywalker having twins twice seems a little forced (see what I did there?). Also, the brief interaction between Han and Rey we see on the Falcon just doesn't come off as father/daughter. Making it more likely that Kylo is a Solo, if any relation exists between him and the family. It would also be easier to have an arc where he is enticed by the First Order, given Leia's suspected prominent role in the Rebellion and, therefore, his greater access to growing up involved in the ongoing war. Why have we not seen Luke? I think its because he felt he needed to separate himself from his relations from fear of them turning evil. Fear is a path to the dark side and might be screwing with his mind. This ties together and explains why he would abandon his child (and maybe asks Han to look after her? ), while setting up the story. The story would then be for Han to act as a guide to get Rey back to Luke (whether he is full evil or more likely in seclusion to prevent having an impact on his daughter and/or nephew/son). Plus, having him full evil cheapens the first trilogy, which would be a slap in the face of fans and goes against what JJ has said he wouldn't do. Having him in the balance/brink fits with the theme a bit more I feel like. With Han as the guide, I think its more likely that he is the one that bites it. It makes more resonance and gives that similar setup to A New Hope. Chewy is the easiest to fill with someone else and a fan favorite, which seems like a better choice to keep alive and have him pop up in future films. Harrison is old and jaded, so would make the best choice to kill off. Not sure anyone dies, but my money is on Han if it happens. Having her guide die would rightfully piss Rey off and make sense of those trailer scenes. Whether she knows Luke is her father at this point is questionable. I would guess that its a bit more likely familial ties are introduced in Episode 8, to keep with the themes (look what JJ did with Star Trek, not exact, but similar to originals). Its probably hinted at here though (the Luke voice over in trailer 2 seems to indicate here, although that could be trailer talk). Or its shown here, and in episode 8 its revealed in the inevitable showdown between Rey and Kylo that they are siblings/cousins. I then suspect Luke makes a brief appearance in this one, with a more prominent role in 8, where he teaches Rey and, possibly, Finn, the force as they pull him back from exile/the brink to cement his status as one of the great Jedi Masters. It just makes more sense that this one sets up the world and is more straight forward action, with an overview of some kind for the Force sensitive players. Then 8 gets more into the meat of the Jedi/Dark Side confrontation and family ties stuff. I just feel like with JJ involved and the desire to make it more like the original trilogy, they will play it in somewhat familiar fashion, with a couple of twists. The one thing I am a little hazy on is how Finn ends up with Anakin's/Luke's lightsaber. In the voice over/trailer 2, it seems pretty clear Leia receives it. Maybe thats a flashback or beginning, Leia hides it, the Knights of Ren goes after it and Finn somehow nabs it/escapes, which would seem to fit with what looks to be the chronology. If Luke tells Rey she is his daughter, this could happen towards the end, after the Kylo/Finn showdown and then Finn gives it to her. Or Finn is the one Luke is talking to, is Luke's son and everything I have written is bs. Whatever, I am super excited. With Han as the guide, I think its more likely that he is the one that bites it. And I probably won't get my way but I hope it's by Greedo jr. shooting first. I think that Rey is Luke's daughter. I DEFINITELY think that Rey has been positioned as Luke's spiritual successor, for all the reasons you listed. Whether she's literally his child, I'm not so sure about. I could definitely see it, of course. The biggest hitch, for me at least, is that we have no idea who her mother would be. So the film would have to somehow introduce the idea that Luke met a woman, fell in love, had a child but had to give her up/hide her for some reason. etc. Which is a lot of exposition to believably unfold in an already packed movie (whereas w/Han & Leia having kids, the relationship is already there. It's just the "why abandoned/hidden?" question that needs addressing. Now, if the whole initial Sequel trilogy turns out to be about Rey and what happened to her family (in the same way the OT is about Luke and his family) and her story (and the story of her parents) unfolds over the course of three films, that could work. It'd give the story the room it needs to unfold. And that's certainly a possibility. Making it more likely that Kylo is a Solo, if any relation exists between him and the family. I do kinda like the idea of Solo/Skywalker children split - not because I want any conflict amongst the original trio, but just because it offers an interesting wrinkle to the conflict, even beyond if Rey & Kylo are twins. I think its because he felt he needed to separate himself from his relations from fear of them turning evil. I could see that. Again, the old EU has me hardwired to think that Luke's most pressing concern would be to rebuild the Jedi Order, but it makes sense that he might instead be more concerned with first making sure the galaxy is protected from any more Dark Skywalkers, be it himself or his (or his sister's) offspring. Plus, having him full evil cheapens the first trilogy, which would be a slap in the face of fans and goes against what JJ has said he wouldn't do. Having him in the balance/brink fits with the theme a bit more I feel like. Agreed on all counts. I feel like "Evil Luke" would rock the OT boat too much, and this movie seems carefully designed to do the opposite of that. Not sure anyone dies, but my money is on Han if it happens. On the one hand, I can see Han dying for multiple reasons, chief among them Harrison Ford's longstanding disdain for the movies (and his original desire to be killed off). On the other hand, Ford in his older age seems to be genuinely enjoying himself with this stuff now (granted, he's a good actor, so maybe he's just towing the company line) so maybe his attitude has softened. And Han is the everybody's favorite character. I mean, I'm a total Luke>Han guy, but pretty much everyone else just LOVES Han. I'm not sure JJ and company will want to tick off that crowd by killing the character, at least this early in the new films. Ultimately, I think if anyone dies in this movie, it'll probably be Luke (mirroring Obi-Wan), unless Han is successfully positioned as the Threshold Guardian for the movie). But if no one dies in this movie (which is a possibility), then my money is on Han being the most likely to die at some later point. Or its shown here, and in episode 8 its revealed in the inevitable showdown between Rey and Kylo that they are siblings/cousins. I agree that we probably won't learn about any relationships until Episode VIII. And while I've been kind of getting ready to roll my eyes at a "I'm your son!" inversion reveal of Kylo to Luke at the end of that movie, a "I'm your brother/cousin" reveal would be a neat way of thematically mimicking EMPIRE without being really obvious about it, as would putting Luke in Vader's shoes by revealing to Rey that he's her father (in a much more beneficent context, of course). In fact, the more I think about it, in terms of trying to do an EMPIRE-esque reveal in Episode VIII, I think having Luke be the one to reveal it to one of the new characters (rather than the other way around) is my preferred approach at this point. Oh, I like that. Not Luke as the new Obi-Wan, but Luke as the new YODA! Pulled out of self-imposed exile to help train the next generation. Which would definitely make it more likely Han is the Obi-Wan of Episode VII (and thus more likely to die), structurally speaking, at least. The biggest hitch, for me at least, is that we have no idea who her mother would be. Yeah, this is the one big hang up to that theory. Luke and Captain Phasma? How cool would that be? I just can't see why Leia/Han would abandon their kids. Unless Kylo and Rey are siblings, Kylo is older and gets taken by the Dark Side, prompting them to hide Rey. I really hope they aren't twins, thats just too similar. I think that Luke, as the bastion of Jedi knowledge, would be the most likely one that makes that call. I then feel that it makes more sense to have him be the one watching over Rey, not Han, which seems like its the case from the trailer. I could be wrong, but I think its pretty clear that Han is playing the Obi-Wan role. In A New Hope, its Obi that tells Luke about the galaxy's history. That does appear to be what is going on in the new trailer. Although, the voice over in trailer 2, if in the movie, does hint that it might be Leia's daughter, as it goes my, father, I, my sister, then you. If this speech is in fact in the movie, we will def. be learning who is a Skywalker/Solo, making the reveal in 8 much more likely to be a connection between Kylo and Rey. I really think this is how they set up the movies, with a similar path to the original trilogy. Like you said Teebore, this is probably the whole arc of the movies, Rey's story towards learning about her family, path towards Jedi and balancing the Force. In terms of Luke dying, I just don't see it. Who is going to teach these new and seemingly unexperienced Force sensitive kids about the ways? It has got to be Luke. We have also not seen Luke at all yet. To not see him, then have limited air time with him, then kill him just would't be very resonate or impactful I feel like. As stated, I would just be very surprised if Han is not the mentor in this one. My guess is the story plays out like this: The First Order attacks a Rebel outpost/ship to begin the movie (possibly acquiring a certain Blue Lightsaber or plans of the Starkiller base). Stormtrooper Finn is part of the team that captures, among others, Poe Dameron, he doesn't like what is happening (torture) and cuts out (possibly with the Lightsaber/plans). He crashes on Jakku where Rey is in hiding and looking for artifacts that pique her interest in the old days/Jedi, they meet up as the First Order come to collect Finn (the Lightsaber/plans), Han and Chewy come to rescue them, with the Falcon possibly being kept on Jakku in case of emergency, they all narrowly escape Jakku, blast off to space as Han tells them about the Jedi. 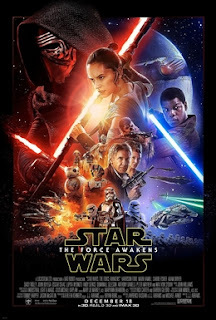 They go to find Luke and bring him back with news that the Force has Awakened (Kylo is doing evil stuff, the Force sensitive kids are in trouble and the Starkiller base is active), along the way they get sidetracked and enter into battle, Finn fights Kylo Ren, Han dies, one of the new characters takes the lead of the Falcon (most likely Finn, he is walking toward the Falcon in the scene where him and Poe embrace, which seems to be the setup to the final battle). Finn and Poe lead an attack on the Starkiller base, while Rey is off finding Luke and learning that they are related. Rey vows to get taught the ways of the Force and the Rebellion celebrates a short lived victory. Sounds similar to A New Hope, but I am pretty sure thats what they go for. Probably a little off on details, but the thrust of the story seems pretty legit.